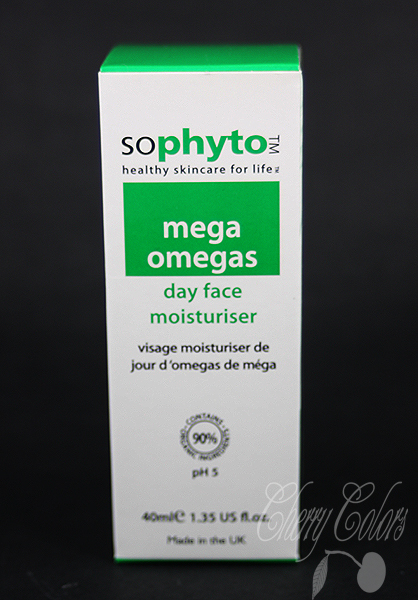 Review: Sophyto Mega Omegas - Cherry Colors - Cosmetics Heaven! It's time for another review! 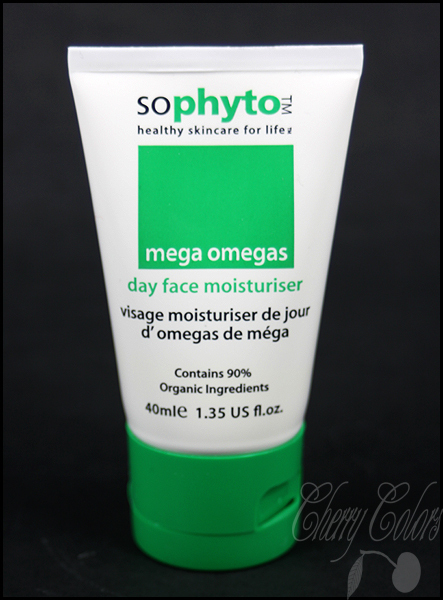 Today I will share my thoughts on a face moisturizer that is suitable for normal, dehydrated and dry skin. I have combination skin (during summer time it's oily/normal and during winter time it's dry/normal), and since it got colder I decided that's it's about time to change face moisturizer. I have the old design of the cream, the newer one comes in a prettier bottle. Free from artificial fragrance, colors, fillers and parabens. *Organic, 90% of the agricultural ingredients are produced organically. The packaging is simple and minimalistic. The old version isn't pretty when it comes to design. But it's practical. It has a switch cap that keeps everything clean and quick to use. 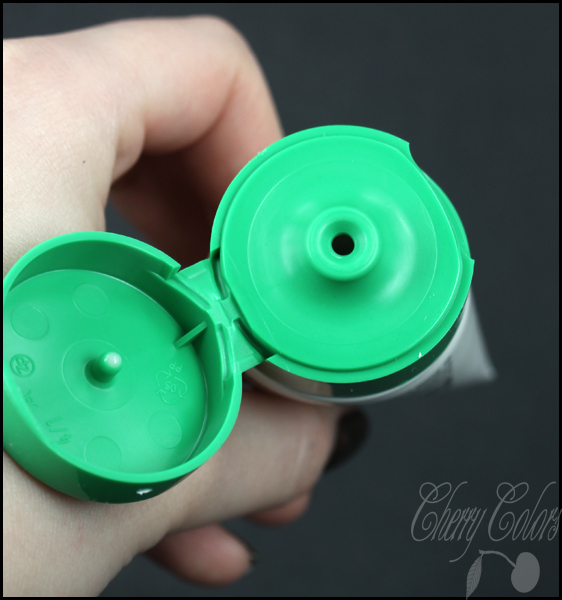 The new version has a gorgeous design, but it also has a screw on cap. That sadly isn't very practical. The cream is white and not very opaque. It's also thin so a tiny bit goes a very long way. The texture is actually a bit disgusting. I can't explain it, but I don't like it that much. It's a bit icky. The great thing about this cream is, that the skin absorbs it really quickly. It also dries to a satin finish, so you won't look oily after it! I started using it after I ran out of my beloved Essential Care Rose Cream. And since the season changed, I decided it's perfect time to switch to this one. Sadly the scent is disgusting to me. It's natural alright, but it smells like animal fat. I'm not sure if you know the scent but it's.. just terrible. It took me one month to get used to it. Luckily after a couple of seconds it vanishes. 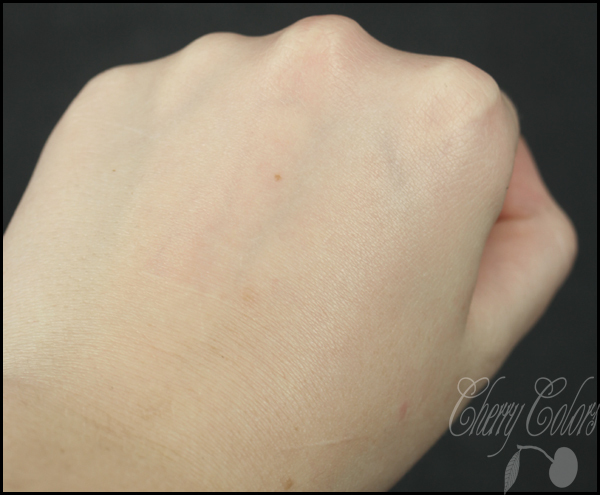 The cream gets absorbed really quickly, leaving you with soft and smooth skin. Sometimes the cream alone isn't enough for my dry parts of the skin, I feel my skin itching/very thigh so over (or under) it I use jojoba oil. That fixes the problem and they work great together. 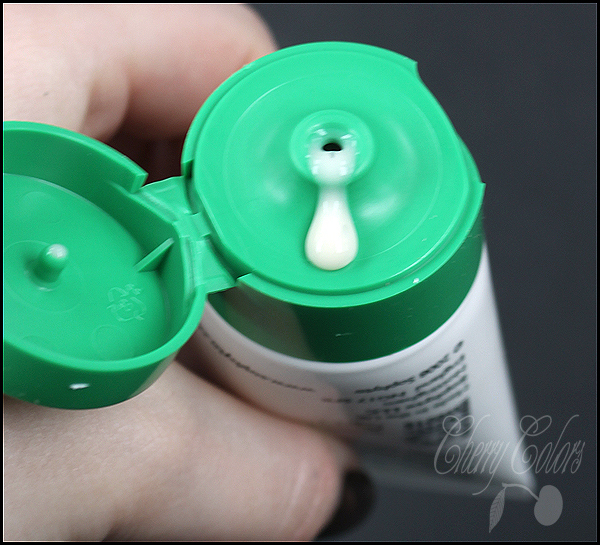 It didn't break me out at all and it never irritated my skin. I remove my make up and clean my face thoughtfully. Then I apply any kind of toner I currently have (I am currently using Kahne hamamelis toner) and while the toner is still absorbing, I apply the cream. A tiny bit and it's enough for my whole face and neck. I've been using it for two months and I still have 2/3 of it left. On the bottle it says that the cream should be used in 3M. That saddens me, but if I won't use it by then (which I doubt I will), I'll put it in the fridge. Hopefully it won't go to waste..
+ 90% of the ingredients are organic. + It contains no artificial colors, fillers and parabens. + A tiny bit goes a long way. + It has the SOIL certificate. + Didn't break me out. I think this cream is more suited for those who have dry or normal skin. For me it doesn't work the best, but with combination of Jojoba oil it's perfect. I don't like the scent of it, but I absolutely adore the fact that it contains no parfumes. Yes, it's ironic. I got used to the scent after a full month, so it's possible. The cream alone is very good, and pricey. But honestly I prefer paying more for a great face moisturizer, since that's the base of everything! Yes if you have dry or normal skin and would like an organic face moisturizer!